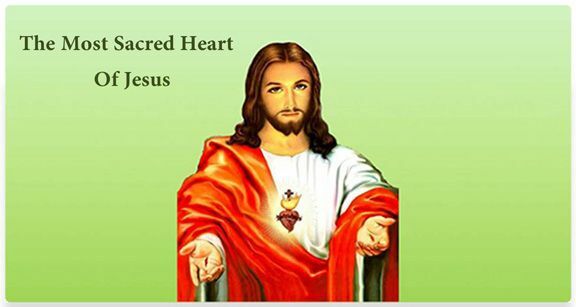 Background: Devotion to the Sacred Heart of Jesus originates from the visions of Jesus and Mary by St Margaret Mary Alacoque. Pope Pius XI affirmed that Jesus, “Promised her that all those who rendered this honour to His Heart would be endowed with an abundance of heavenly graces.” The Novena here, by St Margaret Mary Alacoque, was recited daily by St Padre Pio for those who sought his help and prayers. Say: Hail Holy Queen and add: St. Joseph, foster father of Jesus, pray for us.